Dan Yessian, an award-winning composer, producer and musician, has been a proud donor of the Armenian EyeCare Project for years. Now his dream is to inspire others to give to the same cause he cares so deeply about. To help bring this dream to fruition, we’ve partnered with Yessian and, together, aim to raise $5,000 for our organization so we can continue to fund our many programs and offer quality eye care to those who need it in Armenia. Yessian’s mission to raise money for the AECP and the many needy patients in Armenia that we treat illustrates the passion Yessian has for his motherland and the people in it. His most recent musical composition is no different. 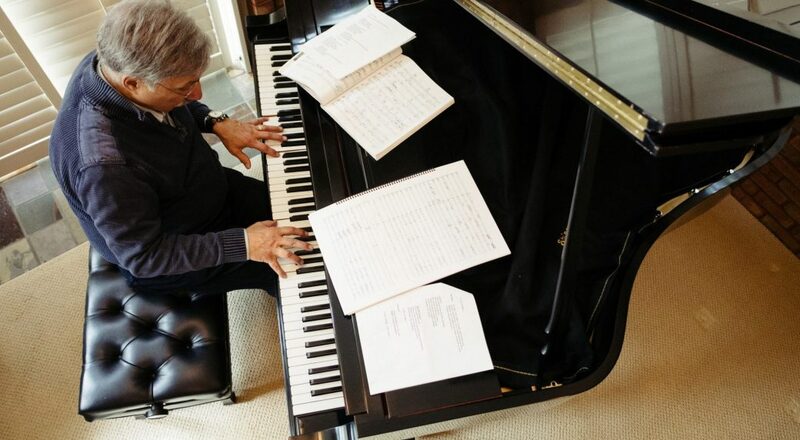 The Detroit-based musician has written a classical composition called “An Armenian Trilogy” to pay homage to his Armenian roots. Divided into three movements — The Freedom, The Fear, and The Faith — the music will be performed by the Armenian Philharmonic Orchestra in Yerevan on October 14. The concert in Armenia will mark the first time that the fully orchestrated version of “Armenian Trilogy” will be performed. It will also be the first time Yessian will travel to Armenia. With the upcoming debut of “Armenian Trilogy,” a homage to his heritage, Yessian feels this is the perfect time to raise awareness for the Armenian EyeCare Project and our own vision for Armenia — a country where no individual is without access to quality eye care; where Armenian ophthalmologists are trained to treat and diagnose eye disease at the highest level; and where preventable causes of blindness are eliminated through an emphasis on prevention and early intervention. Yessian’s continuous support of our organization and more recent pursuit to motivate others to give is both humbling and genuinely appreciated. We hope you will participate in our joint mission to raise $5,000 and donate to the AECP today.